"This was only a humanitarian meeting and it is not going to impact the case in International Court of Justice," Pakistan foreign office said. "Jadhav is the face of Indian terror in Pakistan. He has confessed to killing Aslam Chaudhary. He expressed remorse for taking Pakistani lives. Jadhav, who is a serving naval officer, has confessed to being a R&AW agent," Pakistan foreign office spokesperson said. "Pakistan has honoured all its commitment. The Indian consular was told beforehand that he will be able to see the meeting and so he was allowed. If we had allowed him to speak or listen to Jadhav, it would have come under the issue of consular access. We will decide about it in due course," Foreign Ofiice spokesperson said. Pakistan foreign office spokesperson reiterated that the meeting does not mean any change in Pakistan’s stance regarding Jadhav. “Jadhav is a spy and terrorist. 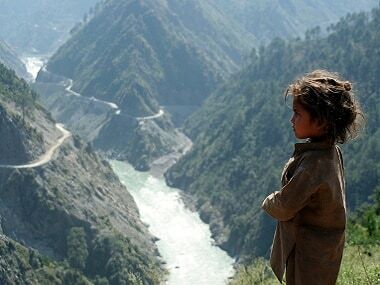 He has been sentenced to death by Pakistan,” he said. “Jadhav has been kept in comfort here and is in excellent health. We don’t have anything to hide. This is a positive gesture from Pakistan’s side,” Pakistan foreign office spokesperson said. "Commander Jadhav is the face of Indian terrorism in Paksitan," said Mohammed Faisal, spokesperson of Pakistan's foreign ministry. "Paksitan permitted the Indian request purely on humanitarian ground as in accordance with Islamic morals and teachings," he said while adding that "many mothers have lost their sons" due to "Commander Jadhav's action on the Indian behest." The video statement, wherein he was seen briefly recounting the so-called confession, is apparently recorded sometime before he met his family. Pakistan foreign office will address the media shortly. The press meet started with a recorded video statement by Jadhav, wherein he thanks the Pakistani government for allowing him to meet his family on humanitarian grounds. He is once again seen repeating his so called confession. 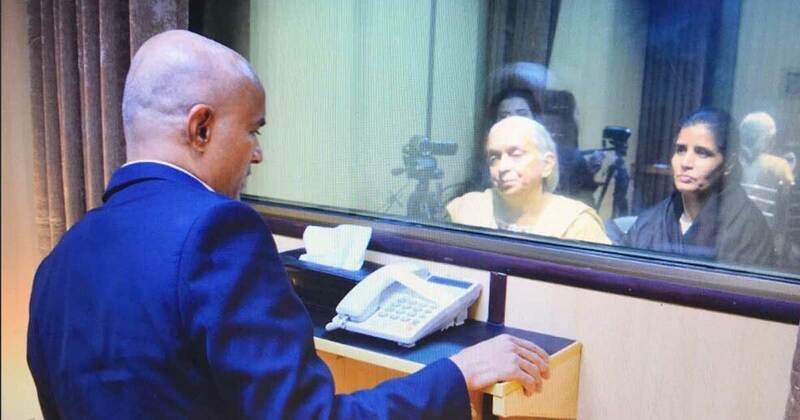 "I am very thankful to the government of Pakistan for the humanitarian gesture," Jadhav is heard saying in the video. Jadhav's mother and wife will leave for India today only. The family is expected to take a flight to New Delhi via Oman. They are expected to leave around 5 pm. Sarabjit's sister Dalbir Kaur, recalling her own experience of meeting her brother Sarabjit in Pakistan, told India Today that it was a difficult time. She said that there is no question of talking normally because of the constant and strict vigil of the officials. She also added that it is a very emotionally overwhelming moment and before she could control her emotions the meeting was already over and she was being ushered out by the Pakistani officials. Speaking to India Today, Dalbir Kaur, sister of Sarabjit Singh, said that she can understand what Jadhav's family is going through. "I know very well what they are going through right now... I remember even I was given half an hour 20 minutes to meet my brother but I couldn't stop crying after seeing him. There was very little time given and I spent most of it crying." According to CNN-News18 Jadhav’s wife and mother will not be speak to the media but officials of the Pakistan foreign office will brief the media persons present at the venue after the meeting. The Pakistan Foreign Office on Monday clarified that India has not been given consular access to alleged Indian spy Kulbhushan Jadhav, ahead of his meeting with his wife and mother here. Foreign Office spokesperson Muhammad Faisal said the presence of an Indian diplomat during the scheduled meeting between Jadhav and his family does not mean India has been given consular access to Jadhav, on death row in Pakistan. Foreign Minister Khawaja Asif earlier had said that India had been given consular access to the Jadhav, describing it as a "concession". Reports from Pakistan say the family members of Kulbhushan Jadhav has met him at the Pakistan Foreign Office in Islamabad. This is the first time Jadhav has been allowed to meet anyone from India since his detention in March 2016. Reports suggest Kulbhushan Jadhav will be allowed to see his wife and mother only for a short duration of 30 minutes. This much-awaited meeting comes 22 months after Jadhav was allegedly illegally detained by the Pakistani authorities in March 2016. Pakistan has announced it would issue photos and a video of the meeting and also allow the family to interact with media, if India agrees. Officials also said Jadhav's family would not interact with the media. Roads leading to the Constitution Avenue, on which Ministry Of Foreign Affairs is located, have been closed for traffic. Special security passes have been issued for those visiting the Foreign Office, officials said. This is the first access anyone from India will have access to former Indian Naval officer Kulbhushan Jadhav, who was allegedly illegally detained by Pakistani officials in March 2016. Pakistan authorities granted visas to Jadhav's wife and mother while denying consular access to India 22 times in a row since his arrest last year. Kulbhushan Jadhav's family would be travelling immediately back to India in the evening after spending barely seven hour in the country, according to reports. Jadhav's wife and mother arrived in Islamabad via Dubai. 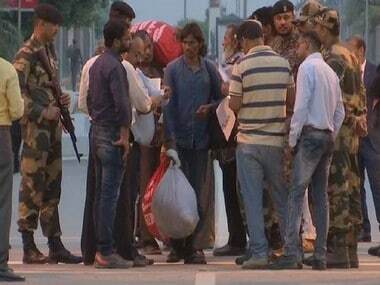 They would be spending around seven hours in the country before returning to India. The Pakistan Foreign Office has not officially confirmed if Indian Deputy High Commissioner to Pakistan, JP Singh's presence in the meeting would be treated equivalent to providing "consular access". It was also not clear if Singh would be allowed to interact with Jadhav during the meeting with his family or he would be a silent spectator. Duration of the meeting between Kulbhushan Jadhav and his family members has not been confirmed yet but it may last an hour, says sources in the Pakistan Foreign Office. Jadhav's family is flying to Islamabad via the UAE and strict security measures have been put in place around the meeting venue at the Ministry of Foreign Affairs, officials said. Police and paramilitary security forces including sharpshooters have been deployed at the MOFA to deal with any untoward security situation. Pakistani authorities said they have deployed sharpshooters at the foreign ministry's office where Kulbhushan Jadhav will meet his wife and mother, News18 reported. Jadhav would be meeting his family at the foreign office in Islamabad. The exact time of the meeting is not immediately known but officials said it would be around midday or early afternoon. Geo News reports, all roads leading to the office of Ministry of Foreign Affairs (MOFA) in Islamabad have been sealed. The flight carrying Kulbhushan Jadhav’s wife and mother will land within 20 minutes. Pakistan has repeatedly denied India consular access to Jadhav on the ground that it was not applicable in cases related to spies. It said that Jadhav is not an ordinary person as he had entered the country with the intent of spying and carrying out sabotage activities. Pakistan claims its security forces arrested Jadhav alias Hussein Mubarak Patel from its restive Balochistan province on 3 March 2016 after he reportedly entered from Iran. India, however, maintains that Jadhav was kidnapped from Iran where he had business interests after retiring from the Indian Navy. India's deputy high commissioner in Pakistan, JP Singh, to accompany Kulbhushan Jhadav's wife and mother in their meeting with the Indian national, ANI quoted Pakistan media reports as saying. "The MEA has taken a position that it this not a consular access. There is a chance that Pakistan might say that they have granted consular access to Kulbhushan Jadhav but our position is clear regarding the same because the consular officer is not interviewing the detainee," former ambassador Yogendra Kumar told News18. Pakistan on 20 December issued visa to Jadhav's wife and mother to visit Islamabad to meet him. The development came after his family had applied for visas last week.Pakistan had agreed that a diplomat from the Indian high commission in Islamabad would accompany the visitors. Indian officials have downplayed the comments by Pakistani minister Khawaja Muhammad Asif, reports News18, adding that they have been maintaining that the concerned Indian diplomat (JP Singh) was only accompanying Jadhav's family and it cannot be considered "consular access". News 18 quoted The Dawn as saying that Jadhav's family will be reaching Islamabad via Dubai in a commercial flight. However, the report added that the flight has been delayed by an hour. This could further delay the meeting that was supposed to end before 4pm. The Pakistani publication was also quoted by News18 as saying that the flight from Dubai was supposed to reach Pakistan around 11am. Friends and family of former Indian Navy officer Kulbhushan Jadhav organised a bike rally in his support in Mumbai on Sunday, a day before his mother and wife are scheduled to meet him in a Pakistani prison. Indian Deputy High Commissioner JP Singh, who is accompanying Kulbhushan Jadhav's wife and mother will not be allowed to meet him, reports News18. Foreign Minister Khawaja Asif, on Geo News' programme 'Naya Pakistan', "confirmed that India has been given consular access to the convicted spy, describing it as a "concession," Geo News reported. "Had India been in place of us, it would not have given us this concession." He, however, said that Pakistan allowed Jadhav's meeting with his mother and wife purely on "humanitarian grounds." Noting that Jadhav's case is sub judice in the International Court of Justice (ICJ), the minister said they were also advised to allow the meeting. "We didn't want any weakness in our case in the ICJ over the meeting." After rejecting consular access 22 times since his illegal detention, Pakistan grants India consular access to Kulbhushan Jadhav. Pakistan Foreign Minister Khawaja Muhammad Asif has reportedly informed Geo News about the latest development on a day when his wife and mother are visiting him in Islamabad. A fortnight ago, Pakistan made a written submission to the International Court of Justice where it once again made the same charges of espionage and subversive activities against Jadhav. India has clarified that he was a former Navy personnel who was doing legitimate business at Chabahar port in Iran. In fact, India has been seeking answers as to how he landed up in Balochistan from where he was apparently arrested. India believes he was kidnapped and false charges were foisted on him. On Pakistan issuing visa for Kulbhushan Jadhav's wife, India told its neighbour that she will be accompanied by her mother-in-law and sought a sovereign guarantee for their safety and security while in Pakistan. 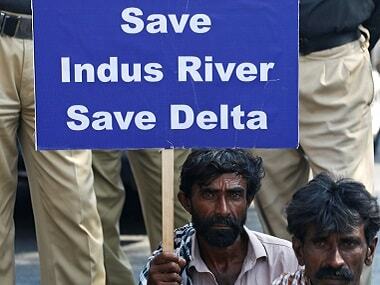 After these demands were met, modalities for their travel were decided by India. Pakistan's foreign ministry spokesperson tweeted on Sunday that India's Deputy High Commissioner to Islamabad will be accompanying Jadhav's wife and mother in Pakistan. Pakistan Foreign Minister Khawaja Asif has claimed that Kulbhushan Jadhav's meeting with his family has been sanctioned on humanitarian grounds. He has said that Pakistan's security is paramount adding that India would not have shown such magnanimity in a similar situation. Twenty-two months after Kulbhushan Jadhav was taken into illegal detention in Pakistan, his family will get a glimpse of him on Monday. It will be an emotional journey for his wife and mother who are travelling to Pakistan for a brief meeting an official from the Ministry of External Affairs has accompanied them on a commercial flight from Delhi. After 22 requests for consular access were denied to India, Pakistan made a sudden offer to allow Jadhav’s wife a meeting with him on what they claimed, “humanitarian grounds”. Pakistan foreign office tweets picture of Kulbhushan Jadhav's wife, mother inside official premises. "We honour our commitments," the tweet adds. Jadhav's family would be immediately travelling back to India via Oman. They will travel to Muscat on Oman Air, and then will board an Air India flight to New Delhi, Dawn News reported. According to the Oman airport website, flight AI-974 is scheduled to depart for Delhi at 11.10 pm from Oman. At a press briefing in Islamabad, the Pakistan foreign office released a new video featuring Kulbhushan Jadhav in which he thanks the government of Pakistan for allowing him to meet his wife and his mother. Their spokesperson Mohammed Faisal called Jadhav the "face of Indian terrorism" adding that allowing the meeting in no way means that Pakistan's stance on Jadhav has changed. He also repeated the charges levelled against Jadhav, reasserting that he has accepted all of them, showing remorse for the death of innocent people. He also said that Jadhav was allowed to meet his family, in accordance with the tenets of Islam, on the birth anniversary of Muhammad Ali Jinnah. 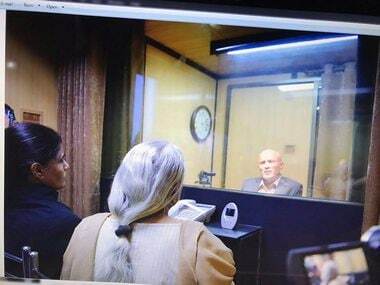 Former Indian Navy officer Kulbhushan Jadhav's wife and mother met him for the first time after his detention in March 2016, but they were seated across a glass partition at the Pakistan Foreign Office. The meeting lasted around 35 minutes and Indian envoy was not allowed inside the room. The conversation was video recorded by the Pakistani authorities, however, media coverage of the same was barred. 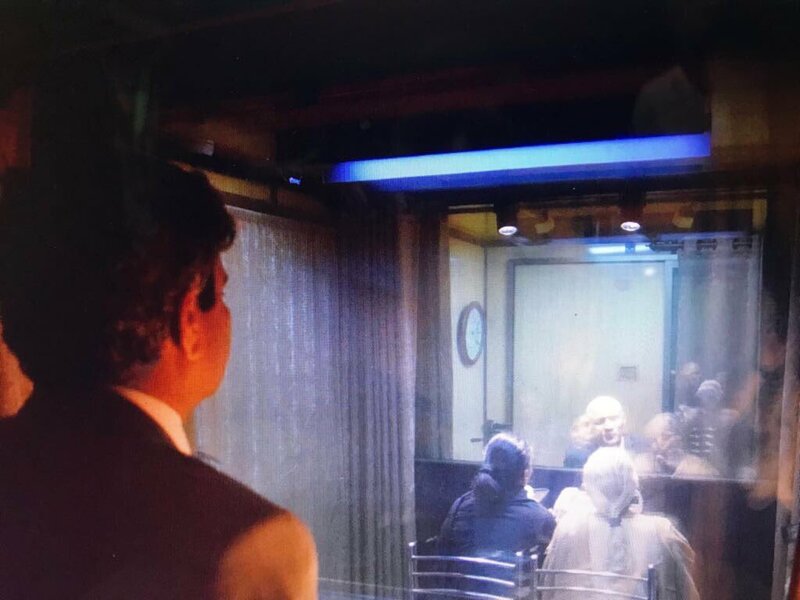 In some of the pictures released by the foriegn office shows Jadhav sitting dressed in a blue suit in a glass box. He was allowed to talk to his family via a phone. Indian death row prisoner Kulbhushan Jadhav's family travelled to Pakistan on Monday morning, and are scheduled to India on the same day's evening after spending barely seven hour in the country, according to a media report. Jadhav's family would be immediately travelling back to India via Oman. They will travel to Muscat on Oman Air an then will board Air India flight to New Delhi, Dawn News reported. The Oman Air flight is scheduled to depart at 6.15 p from Islamabad to Muscat, according to Islamabad airport authorities. Earlier, media reports said that Pakistan had asked India to convey the plan of Jadhav's family at the earliest otherwise it would be difficult to arrange the meeting. Separately, Faisal had said that the meeting would take place at the Ministry of Foreign Affairs and its photo and video footage would be issued. The mother and wife of Jadhav were being provided with a meeting with him in the light of "Islamic traditions and based on purely humanitarian grounds," he had said. Pakistan on December 20 issued visa to Jadhav's wife and mother to visit Islamabad to meet him. Jadhav, 47, was sentenced to death by a Pakistani military court on charges of espionage and terrorism in April, following which India moved the ICJ in May. The ICJ halted his execution on India's appeal pending the final verdict by it. It said that Jadhav is not an ordinary person as he had entered the country with the intent of spying and carrying out sabotage activities.